The late Amelia Bones was a longtime friend of Minerva McGonagall’s. Amelia much enjoyed Muggle detective fiction. Like most people, she shared her enthusiasms with her friends. 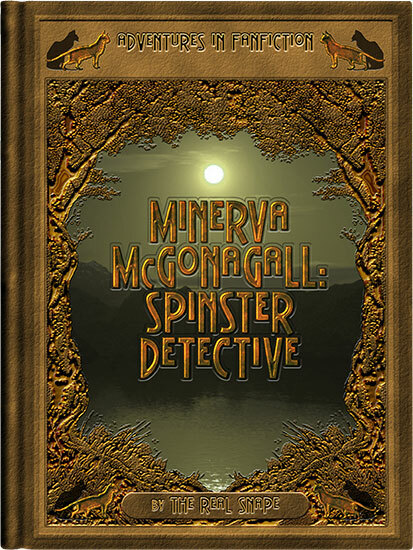 Minerva was certainly quite willing to explore the world of Muggle detective fiction. Minerva, after all, is a reader. Whereas Amelia was particularly fond of police procedurals and hard-boiled detective stories, Minerva favored cozies and classic puzzlers, taking a particular enjoyment of the works of Agatha Christe. As Minerva would point out, the life of an educator is neither so sheltered, nor so uneventful as a great many rather foolish people would have it. But it does not offer a great many opportunities to solve mysteries. Or, at any rate, not mysteries on such a level as to be worth writing stories about.